SPC Construction and Roofing has had the good fortune of working with many people and businesses in Grapevine and the surrounding areas. As your premier Grapevine roofing company, we’re there for you! And we're happy to be! 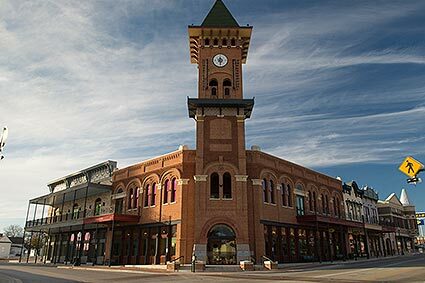 Beautiful Grapevine is home to several wineries, as the name would imply, and has even been listed as one of “America’s Best Places to Live.” Which of course, SPC Construction and Roofing knows, as we are your top LOCAL Grapevine roofing contractors! SPC wants to make this lovely living possible by offering the very best roofing solutions available. And in a warm, sunny climate like Grapevine, the right roof is a necessity! So if you need roof replacement, roof repair and installation or any other roofing projects, give us a call today for your free inspection and superb customer service! Check our customer's reviews, testimonials and our awards, so you can rest assured that we are your number one, trusted, local Grapevine roofing company, and proud of it! If you’re looking for a roofing company in Grapevine to help you with your commercial roofing needs, look to SPC. As a Grapevine roofing contractor, we offer a wide range of services and products. We even offer emergency roof repair as well. As an owner of a commercial building, dealing with a faulty roof can be a time consuming and expensive burden. Even a small leak can turn into huge costs when you consider time and the possibility of damaged merchandise. So let us help you to prevent an emergency, or quickly fix one that has already sprung up! As a commercial roofing company in Grapevine, we are ready to get our hands dirty, so you don't have to! We can offer a free inspection via a drone over your property to see from above any roofing projects that may be in your future, whether you need a roof repair and installation, or a whole new roof replacement, we can help as the best Grapevine roofing contractor! If you have residential roofing needs for a roofing company in Grapevine, look to SPC. We have been servicing the area for more than 30 years and are happy to work with you to address your roofing projects. We’ll even work with your insurance agency if you have had to make a claim with them. We want the very best for your roof and for you. That’s why we’ll work with insurance agencies to get you the very best roof you can afford without the headache of negotiating with them. We also offer free inspections for your roof via a drone to see what's going on up there! So if your roof hasn't been repaired or replaced since 1995 (or before...or even after) we'll give you the eyes in the sky! Whether it's a small roof repair, or a large roof replacement, we've got you covered, literally! This is why your satisfaction is so important to us! Need convincing? Been burned before? Check out our great testimonials from previous clients here and see why we are the best Grapevine roofing company around! ● Tile and Slate: Tile and slate are excellent choices for the Grapevine area. Not only are these natural materials beautiful to look at, but they also provide insulation. This can lower your cooling bill substantially. ● Metal: Metal is one of the best roofing choices for the area, metal roofing has many benefits. Not only does it save on cooling costs, as it reflects many of the sun’s rays while being exceptionally durable. Many metal roofs have been known to outlast the home they are on. And even better? Metal roofs can then be recycled once they have served their purpose. If you’re looking for a roofing company in Grapevine with great reviews and customer service, SPC Construction and Roofing can be your solutions expert for your commercial or residential roofing needs and more! Call us at 817.684.1088 to learn more about our services or to schedule your roof's free inspection today!